The price for the May 15th race increases from $50 to $60 this Friday, April 15th! Register now! Don’t Forget Giveback Shopping Day at Fleet Feet on April 8th! 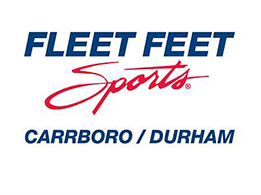 Give back shopping day is three weeks from today (April 8th) at Fleet Feet Durham and Carrboro! Shop at either store, mention Kids Tri NC and 15% of your purchase will be donated to the UNC Triathlon Team! Chocolate Milk at the Finish Line! It’s official! We’re going to have chocolate milk at the finish line. Thanks to Pet Dairy! Lowfat chocolate milk contains the right mix of carbs and protein to refuel muscles after a tough workout. And kids love it! Fleet Feet Giveback Day to Benefit UNC Tri Team! Since our founding, Kids Tri NC has donated to the UNC Triathlon Team to help fund the team’s travel expenses to USA Triathlon’s Collegiate National Championship. You may have seen members of the team volunteering at our races over the years. This year, Fleet Feet will host a shopping giveback day on April 8th. Shop at either the Carrboro or Durham store on that day and 15% will be donated to the UNC Tri Team on Kids Tri NC’s behalf. 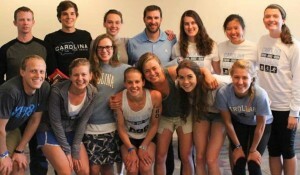 This year on April 23rd, the UNC Triathlon team returns to Clemson, SC to compete at Collegiate Nationals. We hope to send one of our largest groups, 16 athletes, to compete this spring. The women’s team placed 5th in the conference and 14th at Nationals last year. The men’s team placed 4th in the conference and due to unfortunate final exam times, didn’t have enough members for a team score at Nationals last year. Both the men and the women are looking strong this year and aim to improve their standings this year at the National race. Our training consists of early morning bike rides, group swim practices, weight training, track workouts, long runs in the Carolina North, and lots of food. An important part of our success is attributed to our wonderful coach, Dave Williams of Triangle Multisport. Dave teaches us how to push our bodies, refuel, rest, and become better athletes! Personally I have a found a community and family within the triathlon team at Chapel Hill that I never would have expected for such an individualized sport. We support each other in our struggles to balance school, training, work, and other extracurriculars while somehow finding the time to eat the absurd amounts of food necessary to fuel our bodies through Dave’s workouts. In every way I have grown as athlete with the help of this team. I have progressed not only physically, but mentally and have found a deep love for a sport I never would have expected. Check out the 2016 Series Prize! As in years past, we will be giving a special prize to kids who complete all three of our races, regardless of finish time or place. 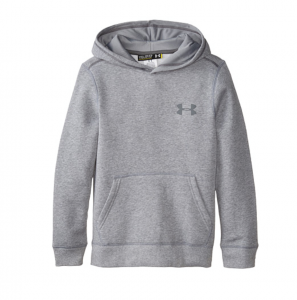 For 2016, Fleet Feet has agreed to donate Under Armour brand hoodies with the race logo. Thank you, Fleet Feet! Two other area races you might be interested in! There are two great opportunities for kids (and families) to race before and after the first Tar Heel Youth Triathlon on May 15th. On May 1st, the Just Tryan It triathlon will be held at Chapel Hill Country Club. The race has been held in the Bethesda, Maryland area for the past few years and recently expanded to NC. For more information and registration, click HERE. The weekend after the first Tar Heel Youth Triathlon will be the Run for Blake 5K. This race is being produced by group of students as a special leadership project at Trinity School in memory of Blake Hubbard, a Trinity student who tragically passed away four years ago. This is a great opportunity for the whole family to come out and run. Proceeds will support the construction of the Blake Hubbard Commons at Trinity School. To register, click HERE. Registration for Race #2 at Briar Chapel is now open! Register now for the second race in the series at Briar Chapel on August 28th! We’ve moved the race a little later in August to try not to interfere with summer vacations. We hope you to see you there! Registration for 2016 races opens January 1st! Registration for Chapel Hill and Cary races will open on January 1st!! Briar Chapel is tentatively scheduled for August 28th and we will open registration as soon as we have final venue approval. There are still some 2015 series awards that have not been picked up. Please pick up your child’s award by December 24th. We apologize, but if you do not pick up your award by this date we cannot guarantee availability. Happy Holidays! Please Pick Up Your Series Awards! If you have not picked up your child’s 2015 series award, please do so as soon as possible. Unless you have specifically requested to pick up at Fleet Feet Carrboro or have the prize mailed, it is currently at the Fleet Feet Durham store. Thanks everyone and have a wonderful holiday season!